We converted a three bedroom house into a two bedroom one. The sky light you see there.. Well, those stairs were to be go upto a mezzanine floor that was to be our work area.. That plan did not materialize.. I hate tiles. Period. 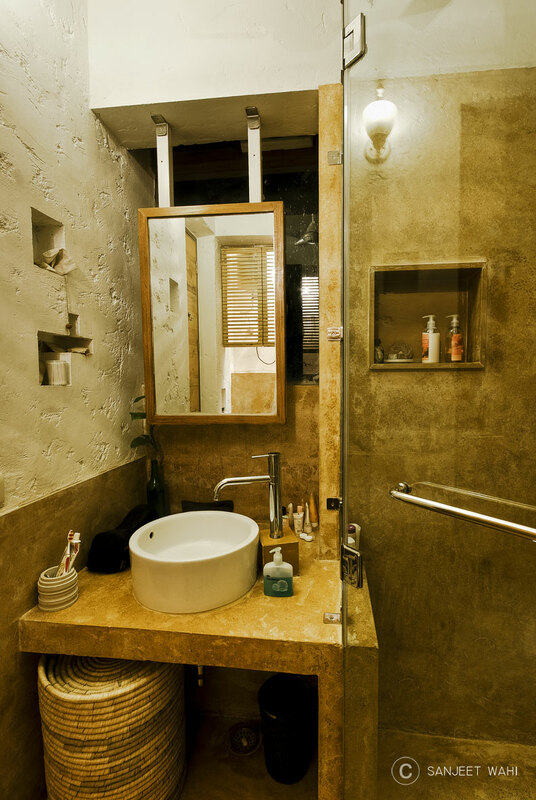 So, we used concrete everywhere.. Our bathrooms are all concrete mixed in colour! I like the way this Sanjeet Wahi has clicked the pictures. If you see the rest of them, you’d think I live in a mansion. Alas! Not! It’s his lens. 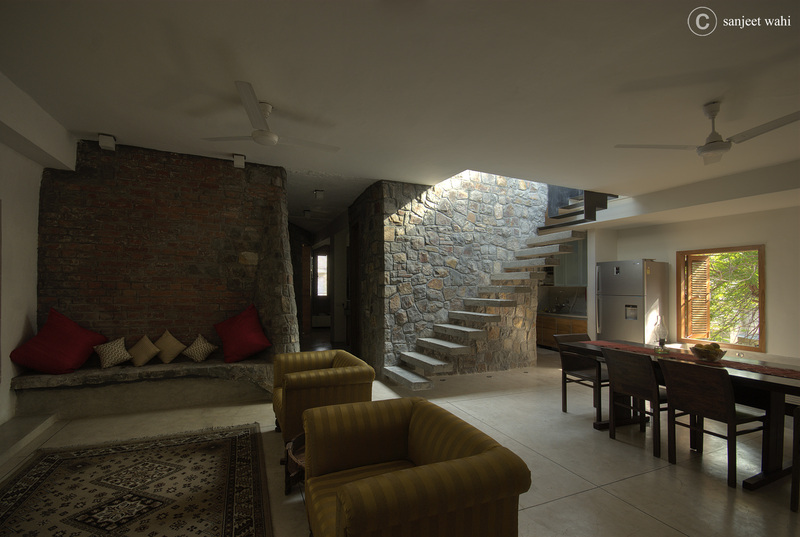 Anyways, our architect Akshay told us that no one looks at the floor, so junk stone etc. And it is so so true! It’s a different story that the concrete mixing got messed up in our case and our floor is cracking.. Everyone thinks it’s a part of the design! Wall mounted taps stay clear of water splashes and thus last longer. After a year here and our faucets still look brand new! There are ways of keeping taps shinny. First and foremost, keep them dry. Always. Another way is to rub wax paper all over the faucet. It leaves a very think coat of waxy wax on the tap. A great protection from fingerprints and water splashes! Rub it on a dry faucet please. Yet another way, rub a lemon on the taps.